Hyderabad: Indian plastics industry is growing at 1.5 times of the country’s GDP. As automotive industry grows and consumer goods grow, plastics consumption will go up. The nation is consuming about 14-15 million metric tonnes of material annually. However, governments should design and launch dedicated plastics policies to boost the sector to its full potential. Plastics should also be accorded core material status. Also, clusters should come up across India to take entrepreneurship in the sector to the next level of transformation. Innovation is happening in the sector but there is large room for improvement. Compliance is going to add cost and this can be mitigated through certain size. So, government should be sensitive enough not to impose undue restrictions on the industry where compliance becomes impossible for the small scale units and they are forced to leave the segment. Indian plastics industry had over the decades indigenised technology and the dependency on technology import has come down. 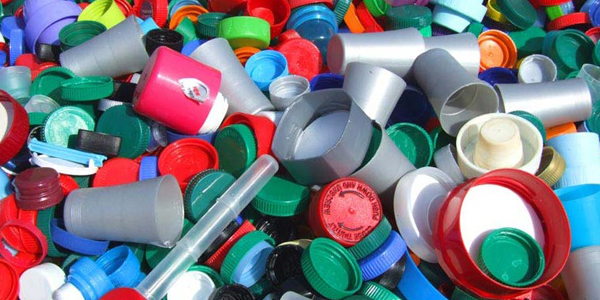 Plastics industry has been recognised by the government as a green industry. The processing is green but the country had failed in terms of handling plastics waste. In the last six months, plastics industry itself has started looking at waste management. Very few stratups had looked at waste management. “Industry saw its birth in west, followed by south. Now we see activity in north as well. East is yet to pick up. Raw material makers are distributed pan-India. India today is able to export both raw material and finished goods. We want Indian industry to export finished products and not raw material. India exports to $7-8 bn of plastics annually. Middle East, US, Far East are key markets, and exports to Europe can go up,” he observes. Globally, plastics usage is on the rise. India is using 12 kg per capita while the world average is 40 kg per capita. The developed world is using almost 100 kg per capita. Telangana is seeing growth in the plastics industry and experts point out that the sector will continue to see double-digit growth consistently in the coming years. The State has about 4,000-5,000 registered plastics manufacturing companies who are in the organised sector. There are around 25,000 raw material producers in and around Hyderabad who are in the small scale sector and they are unorganised. They haven’t registered themselves yet. The industry today employs lakhs of people directly and 10 times more than that, indirectly. Plastic waste can be used even in the cement kilns instead of coal. All the stakeholders will have to work together on how effectively plastics can be used. Government can bring out mandatory regulations as plastic remains a better material for packaging rather than using paper by cutting trees. Small and medium plastics manufacturers who will operate from the upcoming plastics park in Thummaluru of Ranga Reddy district in Telangana, which is the first such cluster in the State, will invest about Rs 1,000 crore. These units will cater to the needs of the surrounding States. There is growing demand for industrial packaging, he observes. Most of the plastics manufacturers had set up their base in Katedan industrial area during 1960s and there one the activity gradually spread to Medchal, Medak and surroundings of Hyderabad.